Builder has stated they will be putting in a community pool. Selling. Sales center are open daily. Spec Homes are on ARMLS if want to show after hours. Brand new urban lifestyle Community in Arcadia Lite. 38 North has 22 luxurious homes with designer finishes throughout in a private gated community.Neighboring to local eateries, in vogue shopping, day to night entertainment, 38 North envelops urban living. A gated, private enclave of 22 homes with community park. Your home is your place for retreat but your neighborhood is your life. Your life exploring new cuisine, engaging people with similar interests and having the convenience of city living all around you. Your story, your lifestyle, urban living is at 38 North. 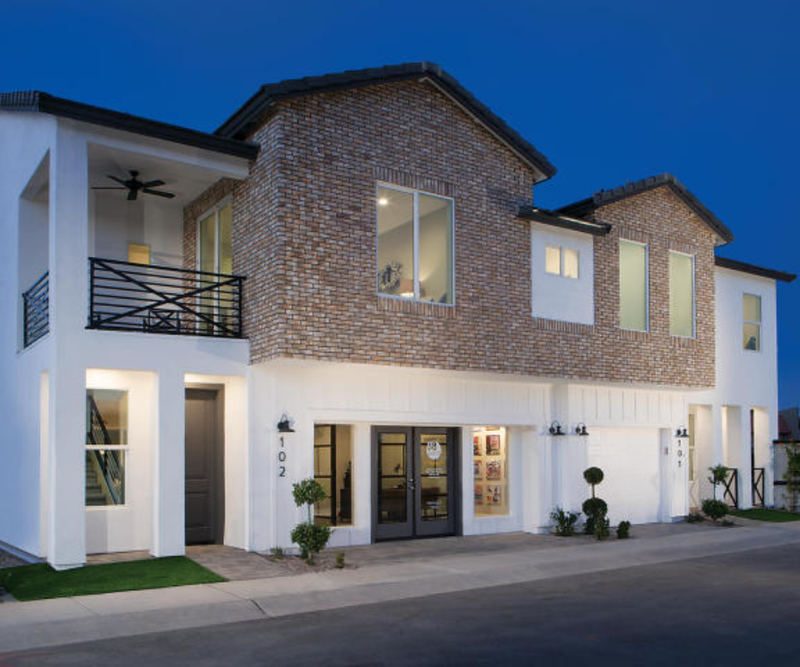 These duplex style townhomes have dramatic 9 and 10 ft. ceilings, shaker panel cabinets plus granite countertops with white under-mount bowls, along with 2 car garages, outdoor patio and masonry fenced rear yard with 4-foot cedar and iron gate.